WASHINGTON – Rep. Joe Courtney will go head-to-head with Pentagon on Thursday over the number of submarines the U.S. military should buy. An amendment to a massive, $675 billion defense bill sponsored by Courtney, D-2nd District, and Rob Wittman, R-Va., and supported by a number of other lawmakers, would add $1 billion to boost the number of the submarines the Navy buys each year to counter growing threats from Russia and China. Courtney hopes the amendment, scheduled for a vote Thursday, would allow the Navy to procure three additional Virginia-class subs in 2022 and 2023. 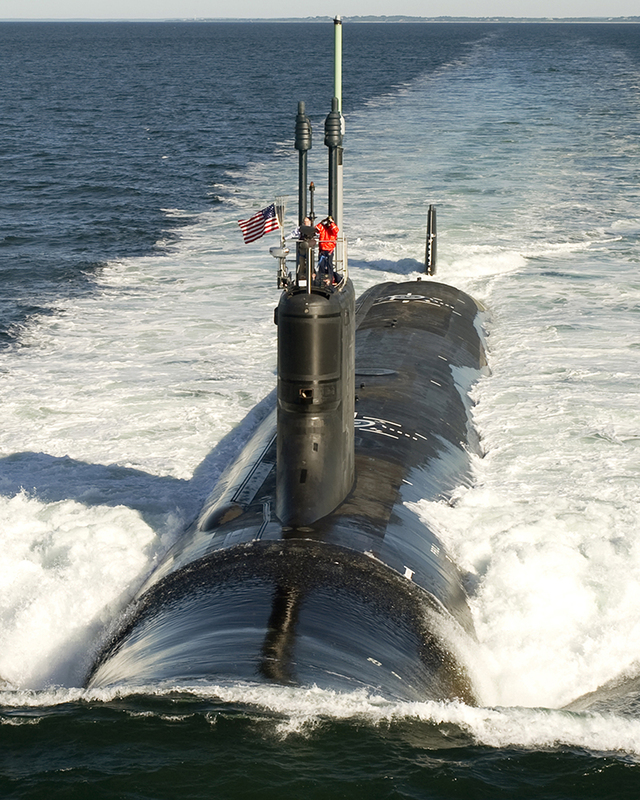 Right now, the plan is to continue to procure two submarines, built by Electric Boat, a year. Deputy Defense Secretary Pat Shanahan opposes the amendment. He wrote a letter to members of the House Appropriations Committee saying that imposing a requirement on the Navy to buy three Virginia-class submarines per year instead of two would siphon money from other needed shipbuilding programs. “Combined with the out-year cost of finishing the incrementally funded submarines, the (Navy) would be required to cut over $6 billion from multiple programs, such as reducing the buys of Arleigh Burke-class destroyers, oilers and fast frigates,” Shanahan wrote. Courtney’s amendment is backed by 23 lawmakers from both parties. Courtney said the Navy will never get up to the number of submarines it says it needs – 66—unless the pace of production is ramped up. He said Shanahan “way overplayed” his concerns about how much money Courtney’s plan would divert from other Navy shipbuilding programs. Yet the Pentagon’s objections are likely to have an impact when the House votes on amendments to the defense appropriations bill. “We’ll have a little debate and see how it goes,” Courtney said. The U.S. House plans to consider a total of 29 amendments to the defense bill Thursday, including one sponsored by Rep. Elizabeth Esty, D-5th District, that would increase funding by $2 million for the Defense Department’s Sexual Assault Special Victims’ Counsel Program.